For the very first time, eight of Lynley Dodd’s classic cat escapades are brought together in this delightful, handsome hardback gift book, complete with a ribbon. It includes a readalong CD with each tale read by the fabulously entertaining Jackie Clarke and specially introduced with a personal anecdote from Lynley Dodd. Slinky Malinki; The Minister’s Cat ABC; Slinky Malinki, Open the Door; Slinky Malinki Catflaps; Scarface Claw; Slinky Malinki’s Christmas Crackers; Slinky Malinki, Early Bird; Scarface Claw, Hold Tight! First., we are introduced to the inspirations behind Lynley Dodd’s stories, with an array of cats that have touched her life being described. We meet the original Scarface Claw and see who ispired Slinky Malinki. Then there is a collection of eight of the famous stories, all with the beautiful artwork that illustrates the plot so well. The readalong CD narrates each story, with the voice of Jacqui Clarke bringing each to life. Lastly, all seven of Dodd’s cat heroes are pictured and described. 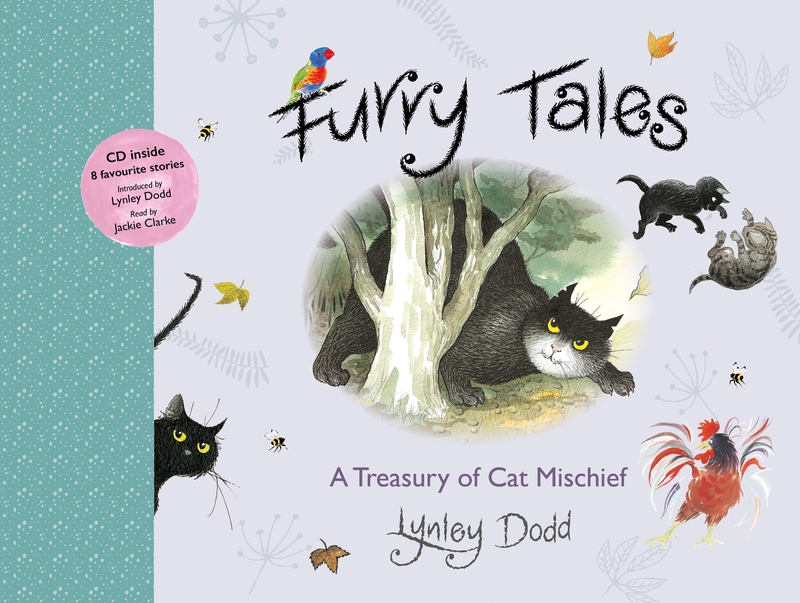 This is a fantastic book, bringing all of Lynley Dodd’s clever rhymes and awesome illustrations of cats together. The heaviness of the hardback might be a little difficult for young children to manage without help but the CD allows them to follow along. More from Danny and his dino pooper friend! 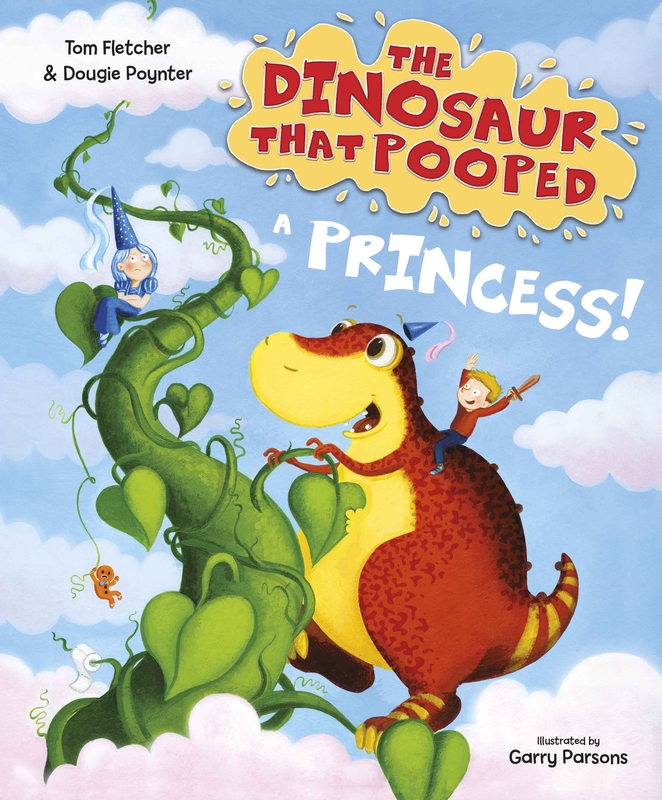 Danny is on a quest to save a princess and he and his dinosaur end up in Fairytale Land. After being pointed in the right direction by the Gingerbread Man, they meet a variety of other fairytale characters – Three Little Pigs and Prince Charming among them – and trolls, orcs, and dragons. Finally they find the princess’s castle, only to realise they can’t reach her. Then the dinosaur comes up with a plan…………. The plot unfolds in rhythmic sentences that are a lot of fun to read aloud. The illustrations are awesome, bright and colourful with much detail. The ending is very cool and how all fairytales should end. This is another brilliant book in the series and I urge you to collect the set. I love the cute cover quote from a 6 yr old fan “I like that he poops, but how does he wipe his bum?” My 4 yr old test reader is now 7 and still loves this series and her mum is happy as she can enjoy the story now Brooke can read by herself. Discovered picking pockets at Coxford’s Corn Market, fourteen year old Sin is hunted across the city. Caught by the enigmatic Eldritch Moons, Sin is offered a way out of his life of crime: join the Covert Operations Group (COG) and train to become a spy. At Lenheim Palace, Sin learns spy craft while trying not to break the school’s Cast-Iron Rules. Befriended by eccentric Zonda Chubb, together they endeavour to unmask a traitor causing havoc within the palace. After an assassination attempt on the founder of COG, Sin realises that someone closest to him could be the traitor. With no other option, Sin is forced into an uneasy alliance with the school bully, Velvet Von Darque. But can he trust her? And will COG try to bury him with the secrets he discovers? 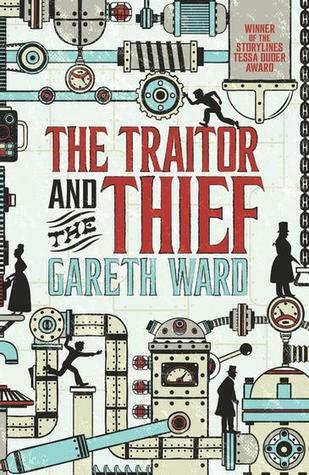 Secrets, spies and steampunk gadgets abound in this fantastic adventure story! I am not sure what I was expecting when I embarked on this young adult novel, but it wasn’t a steampunk school story. It doesn’t start out that way… It starts out with a boy named Sin, who is just another street kid in an alternate England. Or so it seems. Then he’s caught and sent to a school for young spies, tasked to find the traitor in their midst. And it all goes down from there… deep into intrigue and dark and dastardly goings on. 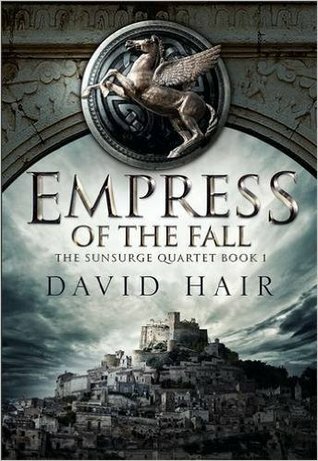 I loved the word-play, and the way the author uses language to give each of the main characters a distinct voice. The world is well-realised, better than many steam-punk fantasies I’ve come across. And the plot rollicks on at a cracking pace. It’s a fun book, and I’m certain that many a young reader would enjoy it immensely. 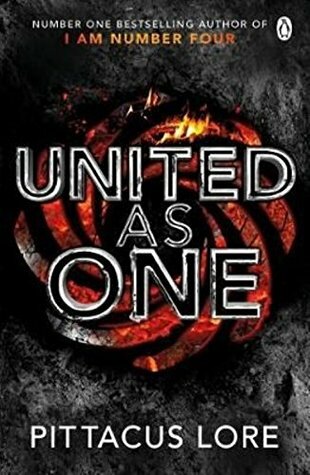 This book definitely deserved its SJV, and I look forward to seeing more from Gareth. An intimate look at Wellington’s beloved Cuba Street – the place, the people, the food. Wellington’s Cuba Street, named for an early settler ship, has always been a little bit different. From humble beginnings as one of Wellington’s markets, it has morphed through light industrial, back to trade and retail, but always with a few eateries thrown in. It is still the heart of the city’s Red-Light district, though now prostitution is legal it just becomes more bohemian. And then there’s the Bucket Fountain…. Beth Brash has written a book, kindly illustrated with photos by Alice Lloyd, that celebrates the food culture of Cuba Street. While the street is decidedly bohemian, tending to working class, several of Wellington’s most famous fine dining restaurants were or are established on this street; Orsini’s and Logan Brown to name but two. I got to review this book because I’m originally from Wellington and am familiar with the geography and people. 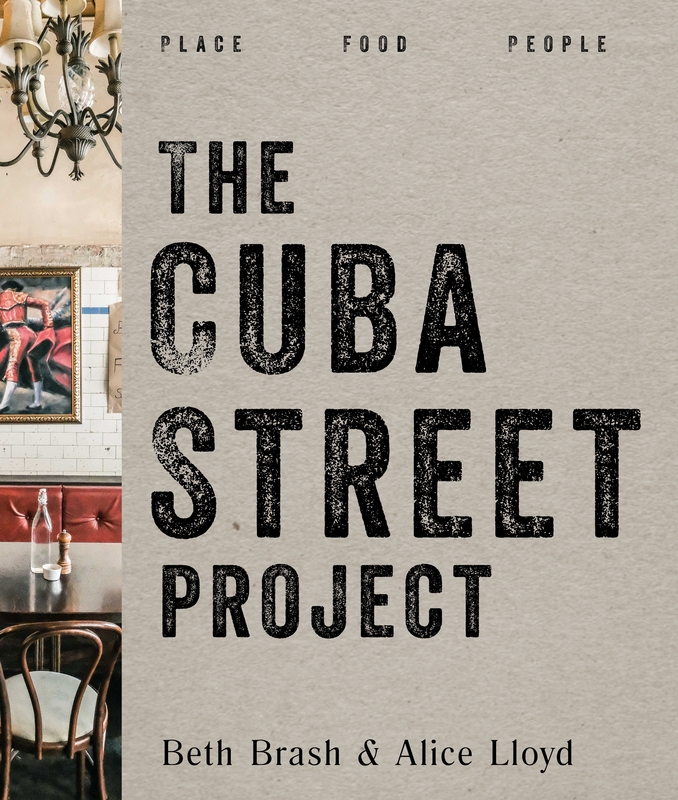 In fact, I’ve had protracted conversations over the course of many months with several of the people interviewed and can thoroughly recommend Beth’s assessment of both the Cuba Street and the eateries. It’s all about the food and the sense of community. Bloody good book, bloody good street, bloody Bucket Fountain (but don’t you dare remove it).